Party in the Playtown! 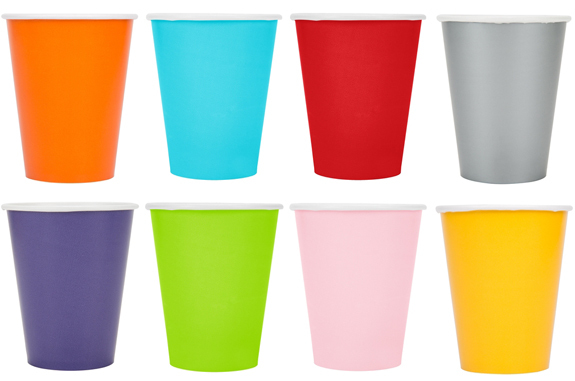 We've been Maple Valley's favorite for children's birthday parties since 2016. 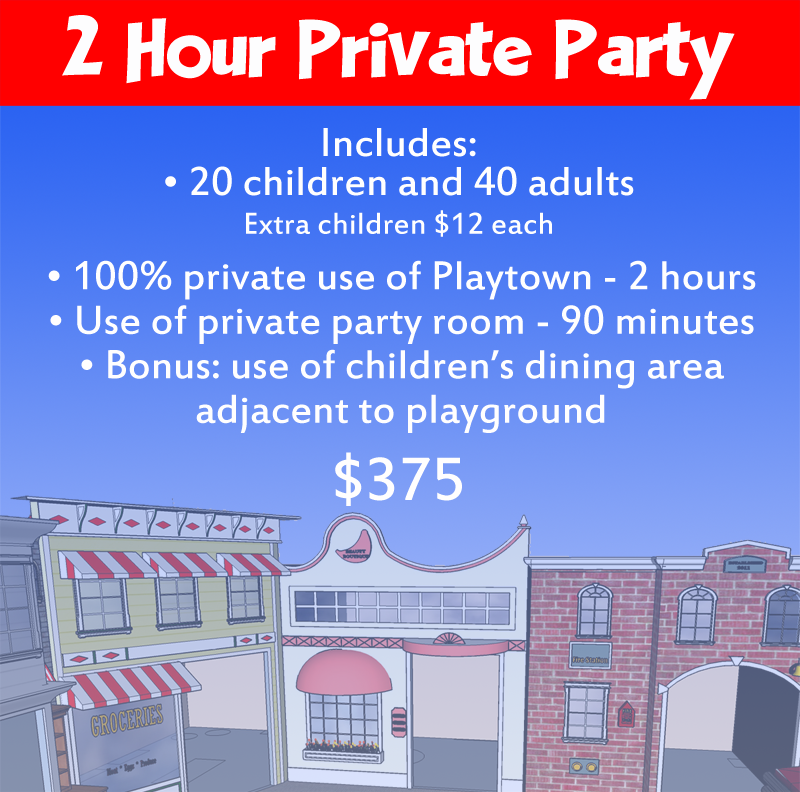 We invite you to celebrate your child's special day with family and friends in the Playtown. 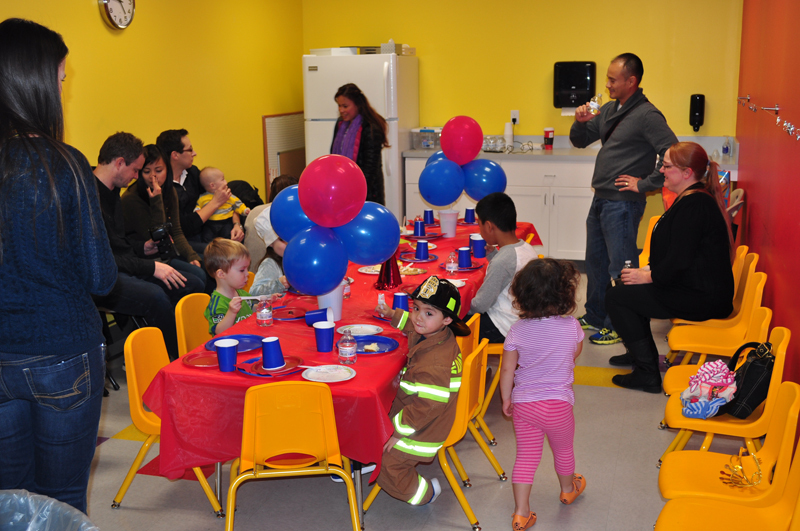 We know you will enjoy our spacious facility with plenty of room to entertain your guests. 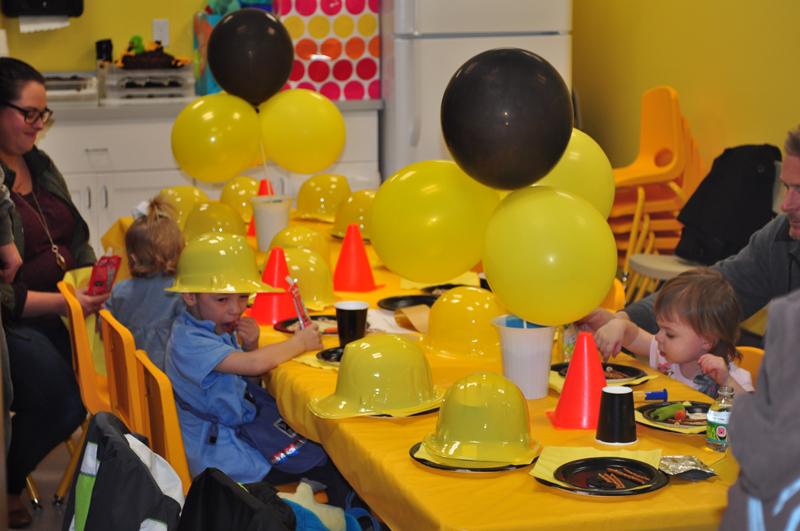 From small groups to parties of 100 or more, we can accommodate you. 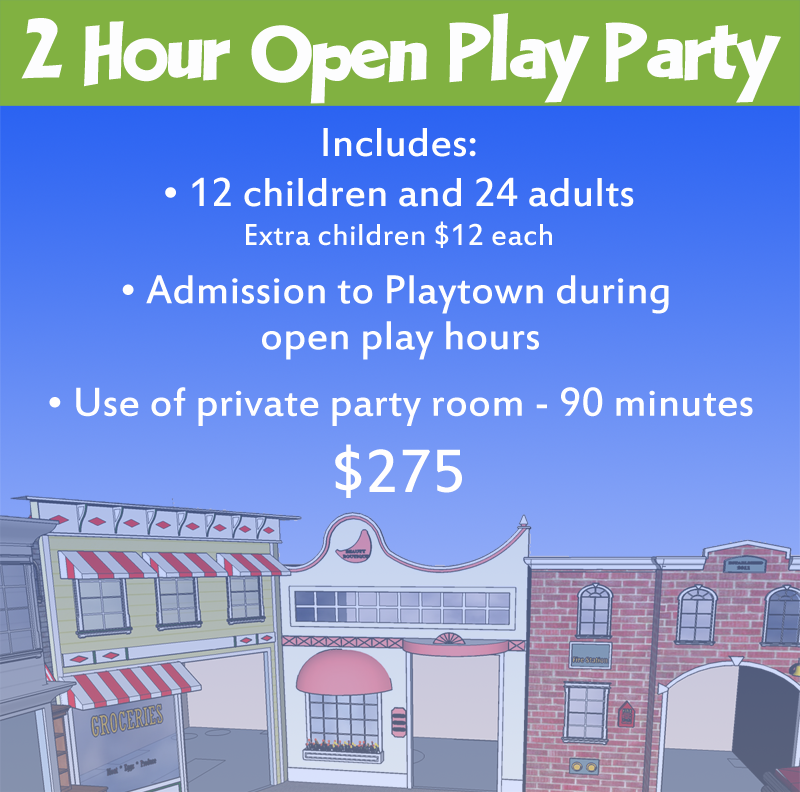 Open Play Parties are scheduled during public open play hours. 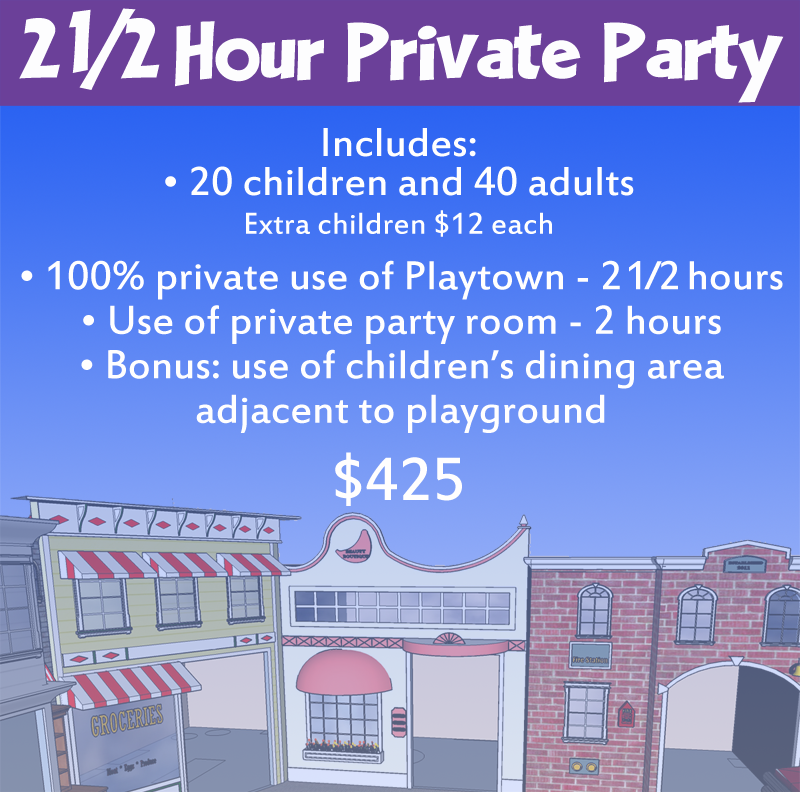 You will share the playground with others, but your party room is private. Private Parties are 100% private. 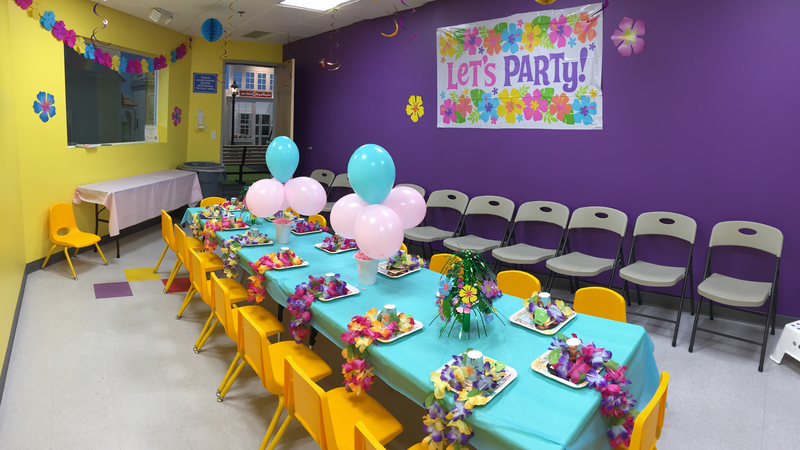 Your party has exclusive use of our entire playground, along with our kids' dining area, plus another, separate room where you can set up your buffet for adults. 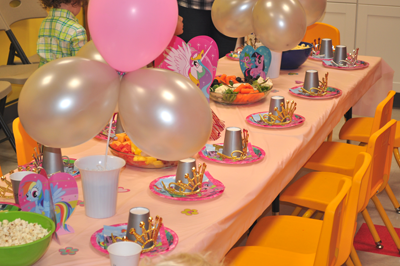 Access to your party room is 30 minutes after arrival for all parties. 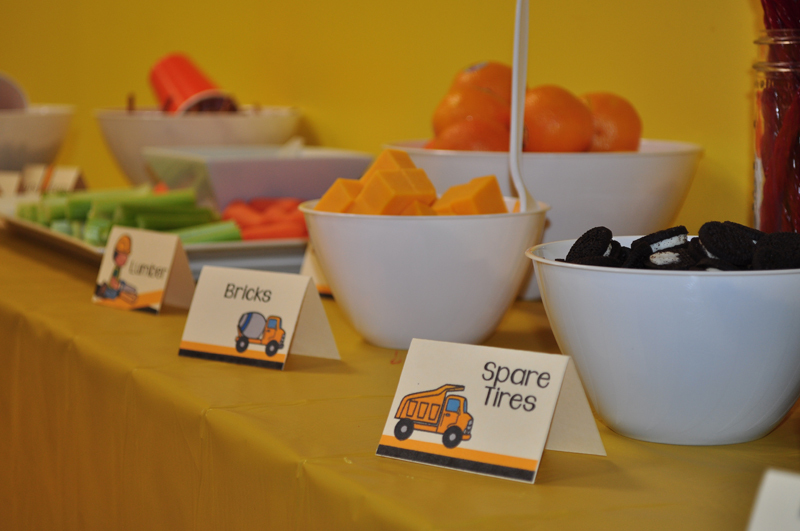 We have carts available for you to load in your food and supplies, which can be parked in our small kitchen area until your room is ready.